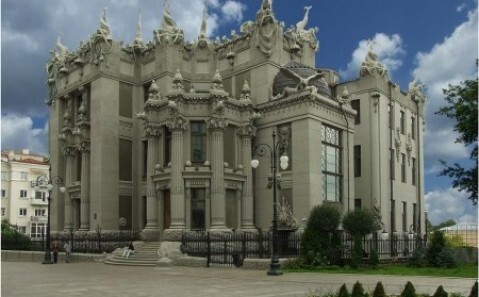 ‘The house is surely somewhat strange, but trust me, there is not one person in Kyiv who would not honor it with a glance,’ said the owner of the House with Chimeras. Vladislav Gorodetsky was an eccentric Kyivan architect of Polish descent, and it was he, who in the early 20th century built this unusual and mysterious art nouveau house. 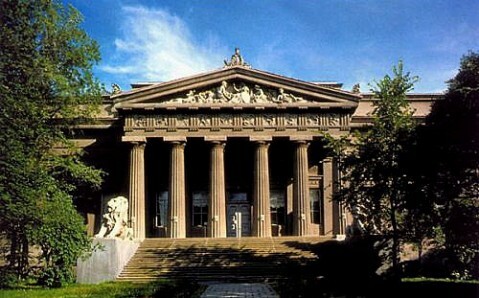 Indeed, even to this day, every passerby invariably looks at the house with awe. Everything began in 1901, when the young architect, who came to Kyiv from St. Petersburg, bought land on Bankovaya Street for next to nothing. The place was totally unsuitable for construction, so when Gorodetsky's colleagues heard about his plan to build a big apartment house there, they called him crazy. Yet only two years after that, a building was constructed on the plot of land. 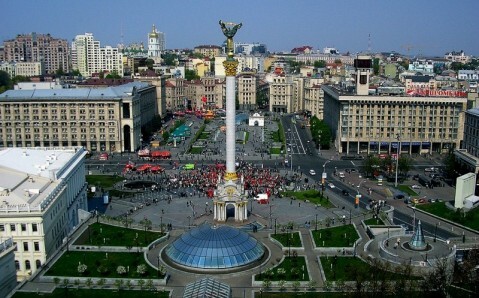 Its uncanny appearance astounded not only Gorodetsky's friends, but all of Kyiv’s inhabitants. The house strikes first and foremost with its ‘two-facedness.’ Located on a hill, the cube-like house looks like a three-floor building from one side, but like a six-floor building from another! 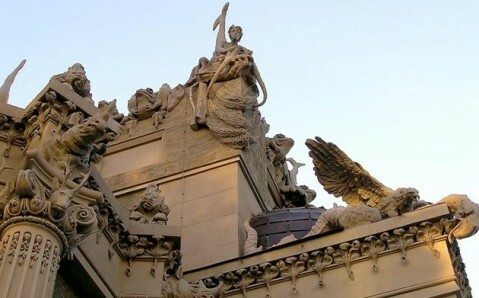 Its roof and walls are fancifully decorated with figures of mythical creatures and wild animals: nymphs and mermaids, dolphins and crocodiles, rhinoceroses and elephants, whose hanging trunks serve drains. 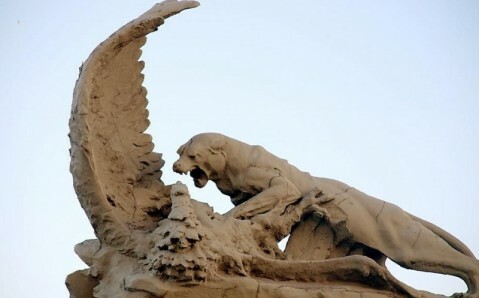 All sculptures were based on Gorodetsky's sketches and made by Italian sculptor Elia Sala. The building’s interior is as extravagant as its exterior and it reflects the architect's passion for hunting. The walls are decorated with taxidermies of birds, antlers, and other trophies, as well as with images of Diana - the goddess of hunting. On the contrary, the front lobby is designed as a seabed. 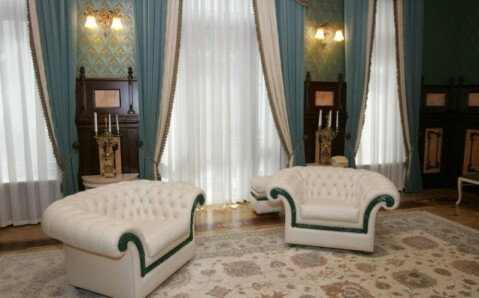 One of the numerous legends about the house claims that the interior’s marine themes are a result of the architect building the house to commemorate his daughter, who supposedly drowned herself in Dnieper’s rapids after having her heart broken. However, many view this legend with skepticism: Kyiv’s residents all say that the architect’s daughter lived a long enough live to see her grandchildren. Each of the house’s details was carefully thought out. A unique ice-room, used as refrigerator, wine cellars, carriage and coach garages, a laundry room, and two stables were created here. Moreover, wishing to offer his guests fresh milk every morning, Gorodetsky built a real cowshed in the yard of the building. He managed to place it in a way that the unpleasant odors would not disturb the guests. The building’s thirteen-room penthouse was intended for the architect and his family, while other rooms were rented out. It should be mentioned that Gorodetsky had no difficulties attracting clientele! But eight years later, the architect who was nicknamed the Kyivan Gaudi, had to leave the building. In a difficult financial state, he mortgaged his masterpiece and could not retrieve it. It is said that, when leaving the house, Gorodetsky cursed it. No one can be sure if this is true or just another legend. But companies who took to renting out rooms in the house often went bankrupt and disappeared under mysterious circumstances. 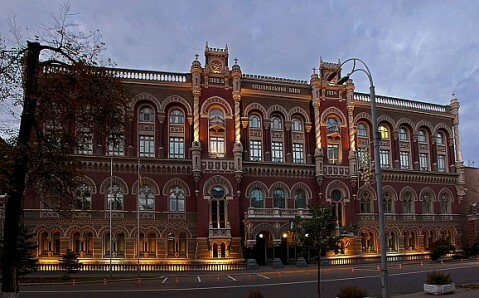 World War II and the Soviet period were destructive for the of the building. It fell into disrepair and stood neglected for a long time. Only when a 40-centimeter (16 inch) wide crack threatened to collapse the house in the direction of the nearby presidential administration building did the government begin to make repairs. 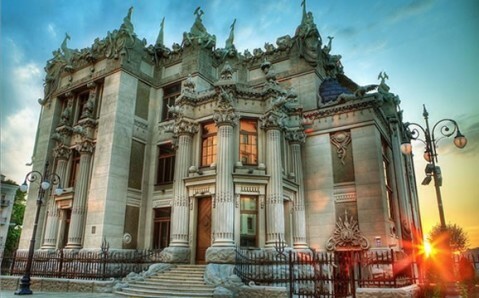 Now, the House with Chimeras is a small residence of the Ukrainian President, where he often receives foreign dignitaries. Внешне любуйтесь. Внутри все перестроили со вкусом по понятиям. В оригинале только 1 комната осталась. Все остальное перестроено конкретно. Экскурсовод ничего интересного не рассказывает. Крутая подцветка ночью. Стоит посмотреть! По субботам осуществляются экскурсии внутрь за 75 грривен. Но !Внимание! фотографиговать строго запрещено. До особого распоряжения на территорию не пускают, рядом находятся здания правительства, из-за забора видно плохо :-( По словам охранника, стоит проверить возможность записи на экскурсию в выходные. Будинок з химерами, а проти нього будинок з потворами. Можно попасть всего в несколько комнат. Запись на экскурсию заранее. Вход по паспортам. Внутри фотать нельзя. Крокодил очень хитрый и его не так то просто найти. А фотка - и есть подсказка как его найти. Не поленитесь сходить к этому зданию ночью. Ночью, при подсветке фигуры настолько реалистичны, что так и кажется что эти сказочные создания вот-вот оживут. Дом созданный под девизом: каждой химеры по паре. Целый зоопарк в камне. Напротив стоит дом в котором работает президент. Менее интересный. 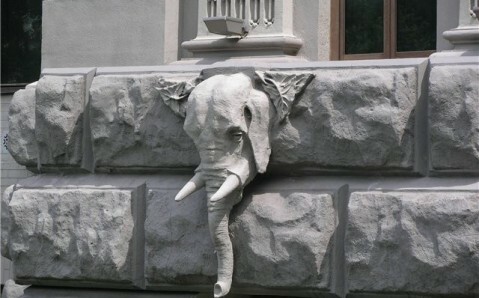 Whith its deminic-looking animals and gargoyles, the House of Chimeras is Kyiv's weirdest building. Recommended place to see. Раніше там була файна стоматологія. Я нашла крокодила ))) Все очень просто! дом,театр им Франка, сквер с "Пацюком".. все это легендарно... атмосфера старого кино! Гарно там. Трохи моторошно, правда. Але то тільки пильно-пильно дивитися. Try to find a crocodile ..
Настоящий дом с химерами, конечно же, напротив.